All books bought from the site will be signed. 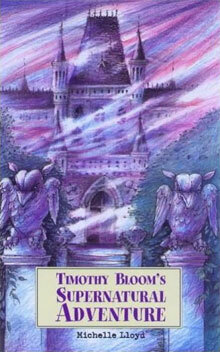 Timothy Bloom is a ten-year-old boy with two sisters and a much-loved dog. When his eccentric aunt invites Timothy and his family to visit her remote Edwardian manor house, friendly ghosts are the least of the problems they encounter. Timothy Bloom and Christian have now formed a bond which has been proved is a difficult one to break and together with the children at Elder Wood life is beginning to mend the atrocities of the past. 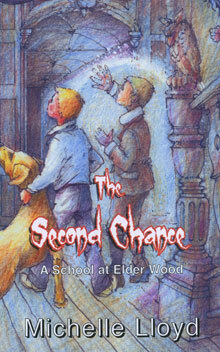 The new school is about to open and the atmosphere in Timothy Bloom’s life has begun to lighten. 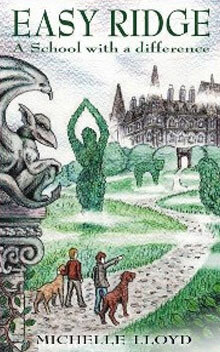 The school is supposed to mean that the past can finally be put to rest, although certain suspicious motives start to uncover that all may not be well at Elder Wood. Lots of excitement as the humans and ghosts once more face the evil Lord Lettenby – can Christian save Tim’s life? Plus a very funny love story … between two dogs. Has Wolfgang found the Labrador of his dreams? Paul Mayhew-Archer, Consultant to the Head of Comedy, BBC and co-writer of The Vicar of Dibley and My Hero. Life has proved to be an interesting experience for Timothy Bloom and his friends from both this world and beyond. In this third and final book, Timothy Bloom has to prove his loyalty to the friends he has made from a different era and put his love for people in both worlds to the test. In this last instalment secrets are uncovered and finally Timothy Bloom is able to battle for the future of his new home and for his belief in a world where trust is everything.